Lose 5 lbs in 5 days with RESET weight management system. 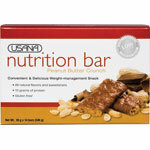 All natural, healthy nutrition bar packed with nuts and berries. This nutritious snack is an ode to the magic of peanut butter. 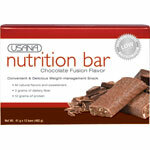 An irresistible chocolate bar that is incredibly good for you. 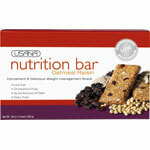 Nutritious snack bar that tastes like a delicious, home-baked cookie. 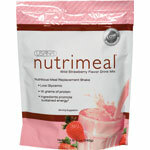 Shake formulated as a perfectly nutritious meal replacement. Chocolate meal-replacement shake, and a significant source of whey protein. 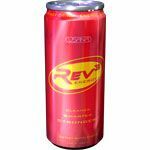 Rev3 Energy® is all the power of an energy drink—refined. The 5-Day RESET program is a nutritionally balanced program of macronutrients (high-quality protein, good carbohydrates, and healthy fats) and micronutrients (vitamins, minerals, and antioxidants). It is a jump-start to healthy living, can help you overcome carbohydrate cravings and start losing weight as you make a break from the typical Western diet. The 5-Day RESET is simple and convenient. 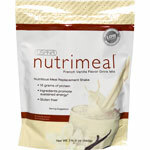 Each day you replace your meals and snacks with USANA's three delicious Nutrimeal™ shakes and eat an Oatmeal Raisin Nutrition Bar, a Peanut Butter Crunch Nutrition Bar, plus a bonus snack of one serving of fruit and one serving of vegetables. In addition, you should take your USANA® Nutritionals, drink 64-80 ounces of water, and walk briskly for up to 30 minutes daily. You would get a better body through balanced nutrition! Nutritional science has linked high-glycemic foods to the incidence of obesity, insulin resistance, and type 2 diabetes. 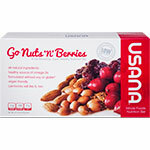 All of the USANA Foods in RESET are guaranteed to be low-glycemic. As the foundation of a nutritious diet, low-glycemic foods release energy slowly and do not cause drastic blood glucose spikes and crashes. 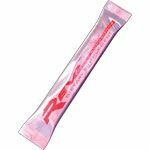 Therefore, you don抰 feel hungry as quickly, so you don't feel an overwhelming need to eat, which may help you lose weight In addition, the fiber content of RESET helps provide a long-lasting sense of fullness to help reduce hunger levels throughout the day. The 5-Day RESET program is not about starvation. It is a nutritionally balanced, low-calorie system to help you lose the first few pounds and find the motivation to keep working toward your total weight-loss goal. After you have completed the first five days with the 5-Day RESET program, make the new healthy habits part of your lifestyle by choosing the next phase that is right for you. RESET provides easily digestible soy, whey, and other proteins daily. Research shows that 25 grams of soy protein a day as part of a diet low in saturated fat and cholesterol may reduce the risk of heart disease. 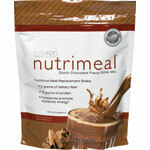 One serving of Nutrimeal provides over 6 grams of soy protein. Whey protein is an excellent source of amino acids essential for building a healthy body. 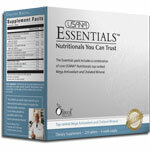 RESET also supplies dietary fiber to help maintain optimal health. Diets high in soluble and insoluble fiber generally are rich in essential nutrients. Fiber is important for maintaining digestive health. When regularly eaten as part of a diet low in saturated fat and cholesterol, soluble fiber has been shown to help support healthy cholesterol levels, provided they are healthy to begin with.